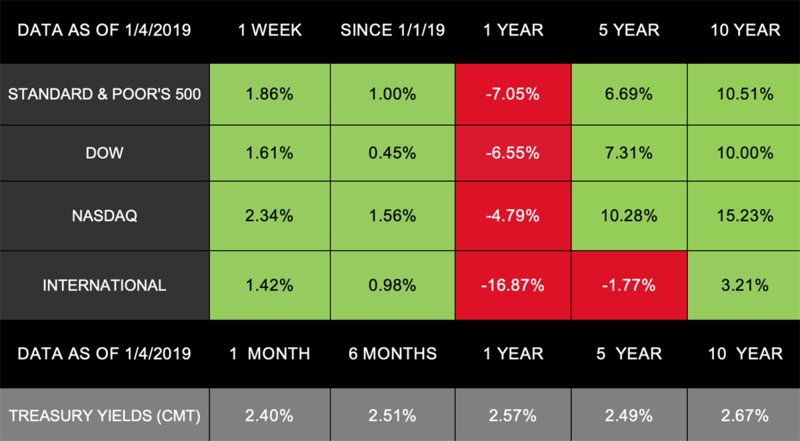 U.S. markets experienced more wild sessions last week before ending in positive territory as the recent turbulence continued. For now, the volatility we are experiencing may continue. [xiv]Remember, we’re closely tracking developments to see how they may affect your financial life. If you have questions about how to weather these ups and downs, we are here for you.